One of the most difficult jobs in government is deciding whether or not to take children from parents who have been accused of child abuse, and place them in foster care. Counties and states are responsible for making these profound decisions, and with federal assistance, paying for the related costs. 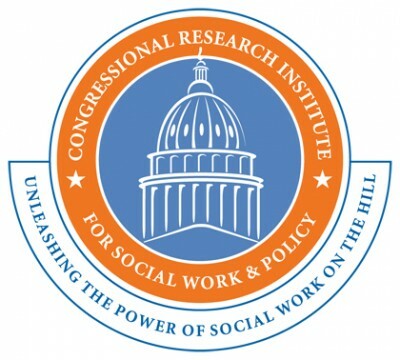 With its passage of the Family First Prevention Services Act this month, Congress rewrote the rules for how states can spend nearly $8 billion in federal spending on these costs, hoping to encourage local governments to do more to keep families together, and to minimize the time foster youth spend in group homes, which many child welfare advocates and several Senators involved in the law decried for producing the worst outcomes for kids in foster care. But policymakers and other stakeholders in the state remain divided over the bill. And like many other policy splits, the line seems to be divided between The Big Apple and New York’s other 61 counties. In New York City, one of the largest local child welfare systems in the country, the law has been met with support from a wide range of advocates and providers. But the state, and the trade organization representing county governments, believe the new law will have a net negative impact on state child welfare funding. “OCFS [Office of Child and Family Services] has significant concerns with the Families First Prevention Services Act,” Monica Mahaffey, a spokesperson for the New York state agency that oversees each county’s child welfare agency, the Office of Children and Family Services (OCFS), said in an e-mail to The Chronicle of Social Change shortly after the bill passed. The bill marks the biggest shift in how we protect vulnerable children in a generation, rewriting the rules attached to a bucket of federal spending called Title IV-E of the Social Security Act. It is an entitlement program, like Medicaid, which means that a federal match is guaranteed for all eligible cases. Title IV-E currently allows states to seek reimbursement for costs related to placing children in foster care and paying subsidies to adoptive parents. The Family First Act will allow states to spend that money on support for parents – substance abuse treatment, mental health services and parenting skills – in instances where caseworkers decide that a child would have to enter foster care without those interventions. The bill would also halt any IV-E reimbursement for congregate care placements, such as group homes, at two weeks. After that, states would have to pay for those placements without federal help, although the law makes several exceptions to that rule. Family First’s foster care prevention funding kicks in this year, and the limits on congregate care begin in 2019. The law also allows states to seek up to two years of delay on the congregate care limits, with the caveat that they cannot access the prevention funding. State officials maintain the bill won’t be worth the considerable costs it imposes by restricting federal funds for congregate care. OCFS says it has yet to make a decision on whether it will seek a two-year delay in complying with the congregate care provisions, as provided for in the law. Stephen Acquario, executive director of the New York State Association of Counties, which represents the 62 county governments that are responsible for front-line enforcement of child welfare laws, including child abuse investigations and placing children in foster care, expressed support for such a move. New York was one of the first states to spend tax dollars on a foster care prevention program in the mid 1970s. Since the early 2000s, the state has been reimbursing counties up to two-thirds of their spending on such programs. The number of youth in foster care plummeted from around 53,000 in 1995 to just over 16,000 in 2016. That decline has continued in the past five years, even as several other large states have begun trending in the other direction. New York City is responsible for much of the drop. Compelled in the 1990s partly by court orders after protracted, losing battles against crusading public interest lawyers opposed to child removal, the city and state significantly expanded the kind of support services for struggling families that the federal government will now help them and every other jurisdiction nationwide pay for. But for a system that has slashed its foster care caseload and is a national leader in prevention services funding, OCFS’ sees a financial loss from Family First. Mahaffey cited a “negative fiscal impact” of more than $200 million annually as her agency’s reason for opposing the bill. In a 2016 memo opposing the bill, OCFS attributed much of that negative impact on increased costs for housing youth in congregate care facilities. Stephanie Gendell, an associate executive director at the Citizens’ Committee for Children of New York, argued that might be a feature, not a bug, in the law. New York’s reliance on congregate care dropped 56 percent between 2004 and 2013, according to research done by the Department of Health and Human Services. About 23 percent of the state’s foster youth were in congregate care in 2004; that was down to about 15 percent in 2013. The Coalition of Family and Child Caring Agencies, a trade association representing congregate care providers around the state, declined to comment on the bill’s passage. Two of New York City’s congregate care providers have backed the law. “We are big supporters of this legislation — it’s the right thing to do to open up federal funding to help families up-front,” said Jess Dannhauser, the CEO of a nonprofit called Graham Windham, a child welfare service provider that contracts with the city to house and support foster youth and at-risk families. Children’s Village, a New York City provider of housing and other services for children and families in New York, and one of the largest residential treatment center operators nationwide, has also been outspoken in support of the bill, as have child welfare policy research and advocacy groups like the Citizens’ Committee for Children of New York and the Schuyler Center for Analysis and Advocacy. In New York, State and City Diverge on Family First Act was originally published @ The Chronicle of Social Change and has been syndicated with permission.